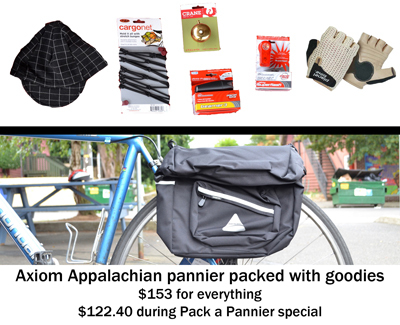 Home » Blog » Pack a Pannier and save 20% at the shop! 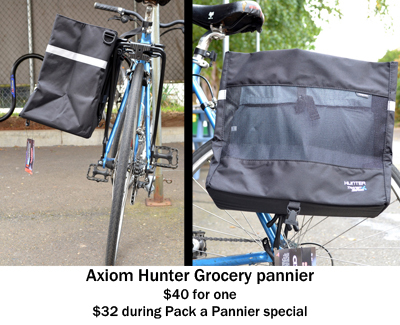 Pack a Pannier and save 20% at the shop! The Pack a Pannier special was so successful (and so fun) in August that we’re extending it to September. 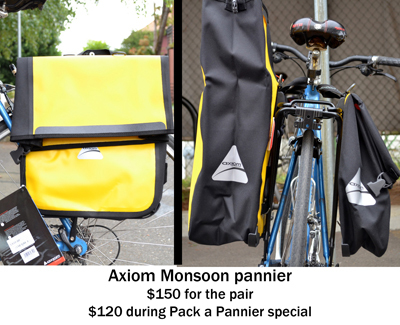 If you’re thinking about gearing up to go back to school, or to commute in the rainy season, now’s the time! 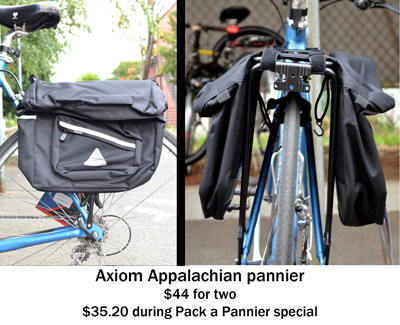 We sell three different kinds of panniers in our shop – Ortlieb, Axiom, and the locally made and recently reviewed North St.
Visit the shop on a Wednesday or Thursday during the month of August. 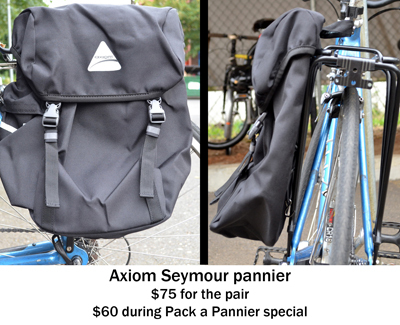 Pack a pannier with accessories and enjoy 20% off both the bag and everything in it. If you have any questions, our friendly staff is always happy to help.